If you are not in your office, your clients need you can quickly send an email with attachment file to him, this time, you can use Gmail in your Androd phone , Gmail for Androd supports a variety of file types. Gmail only allows users to add video files or image files to e-mail attachments in the past. 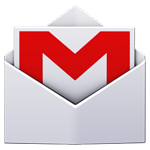 However , Gmail application allows users to add any files to e-mail attachments in the most recent version . This is an exciting thing, now, you can add any document files, compressed files , and even your rare custom file types in your email attachment. To use this feature , make sure you are using the latest version of Gmail . You can go to the updated Gmail application from the Google Play Store. 1 Open the Gmail application on your Android. Click on the menu button to open the menu list , and then choose to write . 2 Please click on the upper right corner of the application window to compose a message in the action overflow icon view , and select Add additional files . If you can not find the option to attach files , but if the ” additional images and video connections ” option exists , you most likely are using an older version of Gmail. If this is the case , please go to Google shops to check the latest updates of Gmail from your applications , and install it to your phone . 3 Next, through the file manager, find the location of your file, and then click on the file to attach it to an email. You can choose any file you want. Additional files will be listed in the following areas compose e-mail , it will be uploaded in the background. 4 When the recipient receives the message, he will have an option to download the file to his phone. If he can not open the attachment in his message. He will need to download other applications support this feature, and installed those apps in his phone. In many cases, the recipient can access the file directly from his computer .